Tailoring products and marketing to your customers is a powerful way to grow your brand and your profits. With market segmentation software from Qualtrics, you’ll know exactly what works (and what doesn’t) for every customer segment, no matter how complex. Build your study. Create your target groups. Analyse the results. 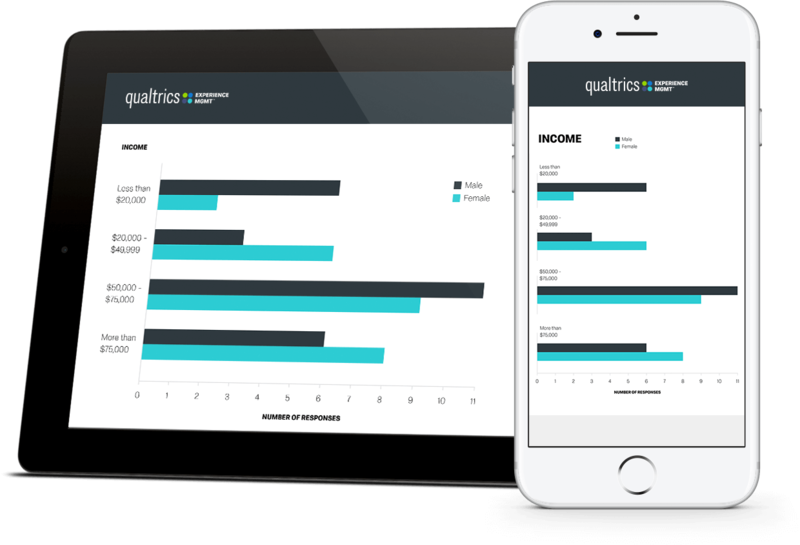 With Qualtrics, all your customer segmentation is done on a single platform, so you have instant access to the data and insights you need. Get answers quickly on whatever channel your customers prefer from email, mobile, website intercepts, kiosks, and more. Find new customer segments automatically with advanced analytics that apply machine learning and AI to spot gaps and find previously untapped customer segments. You’ll see instantly which groups of customers are most valuable as well as a breakdown of what you need to do to win them over. 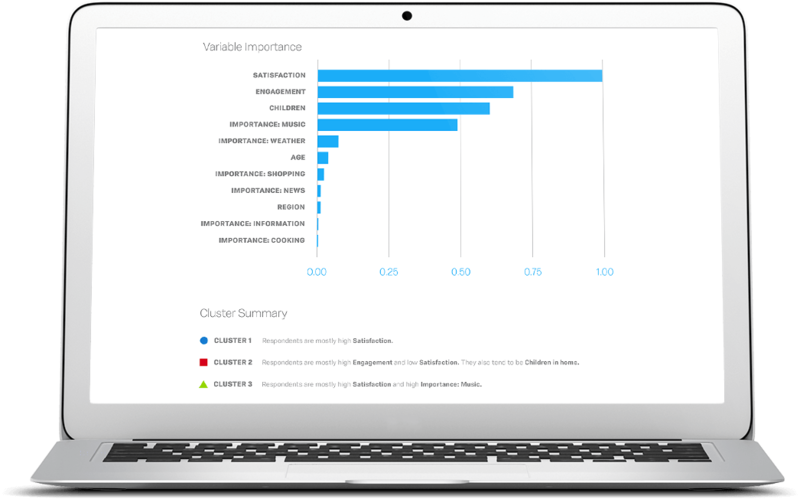 Go from project kickoff to the field in no time with our intuitive survey builder. Even the most advanced studies take just minutes to build, and if you need to make changes, there’s no coding or expensive change requests required — just log in and update your question set. Accelerate your research with XM Solutions. You don’t need an in-house stats guru to interpret your data. 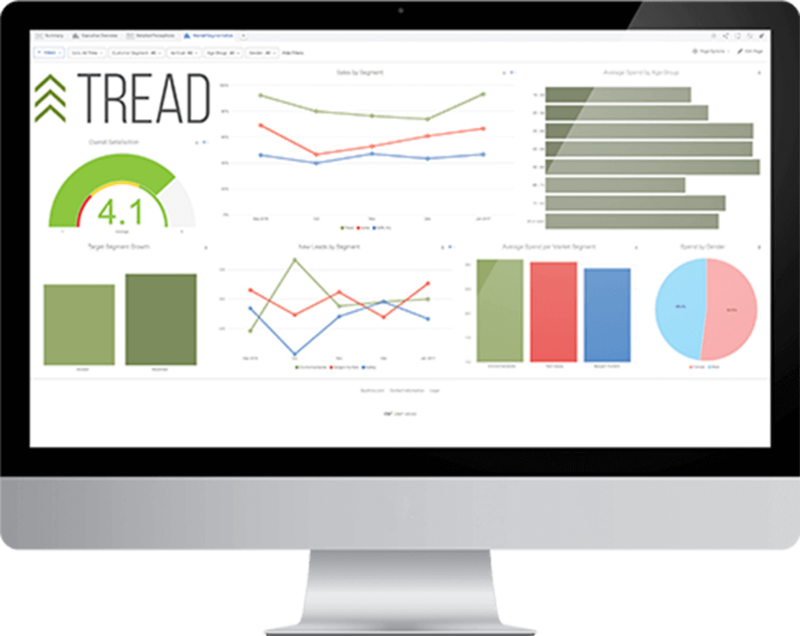 With cluster analysis built into our platform, your customer segments are generated automatically. Explore up to 20 attributes simultaneously, see which ones align with each segment and share your insights with others instantly. Get fast, high-quality responses to help build your customer segments. 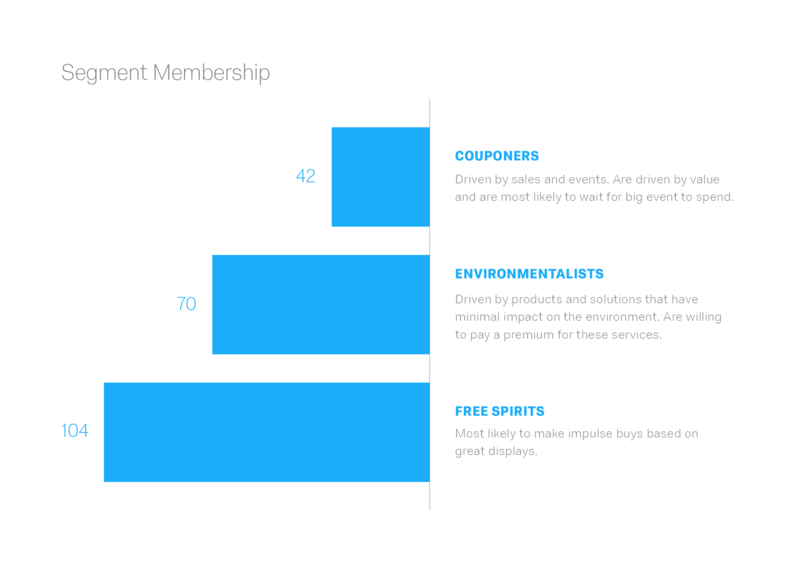 Simply put together your wish list of customer attributes and we’ll do the rest. Go as broad or granular as you want — from the general population down to high-income, retired car enthusiasts. We can find any respondents you need. Customer segmentation involves dividing your market into usable groups of potential customers. Segmentation helps you know the right products and messaging for each distinct audience by analysing demographics, needs, beliefs, spending patterns or other psychological or behavioral criteria. It allows you to paint a detailed picture of different groups of customers or prospects so you can tailor everything from your products to your communications and promotions to make sure you’re maximising your appeal to different target groups.